Graham Arthur, Peter Fortune and Neil Reddin are your Conservative councillors for the ward of Hayes and Coney Hall, in the London Borough of Bromley. Graham is a semi-retired accountant who held various senior positions in multi-national organisations. He has lived in the borough all his life and been a Councillor for this ward since 1998. He lives with is wife who works within the third sector and he has three grown-up children. Graham has served as a school governor for more than 20 years and has a keen interest in preserving the ‘Bromley way of life’. Peter works in Learning and Development for a large media organisation. He has served on Bromley Council for four years in another ward, with his main focus being on matters involving Health and the Environment; most notably heading up the Borough’s popular Snow Friends scheme. He is absolutely committed to ensuring that, at all times, the voice of the residents is heard and that local issues drive the agenda. Peter lives with his wife, a primary school teacher, and two children. Neil has served as a local Councillor for the ward since 1998. He has a long association with the area, having been born in Mason’s Hill, spent part of his childhood in Hayes and lived for a number of years near Hayesford Park. Neil has served as a Cabinet Member for Leisure & Culture, Community Safety and Resources, and is now Vice-Chairman of the Education Policy Development and Scrutiny Committee. Neil is dedicated to putting Hayes and Coney Hall first and, with his two colleagues, ensure that the ward ‘punches above its weight’ on the Council. 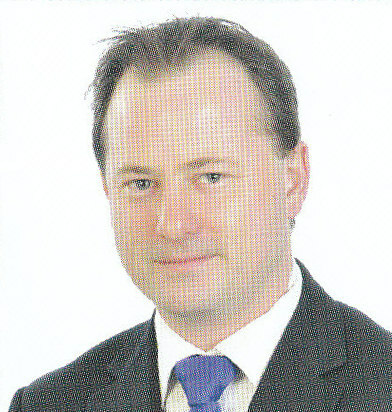 Neil is a Chartered Certified Accountant by profession. He is married with two children and a dog.